Home » CAP News, LaVA (Literature and Verbal Arts), News, Poetry In Motion Community, Poetry in Motion Schools » A message from Community Arts Partnership’s new LAVA (Literature and Verbal Arts) Coordinator, Shelley Tracey. The season of spring is a wonderful time to start something new. I would like to let you know about my own spring venture, which is really exciting. 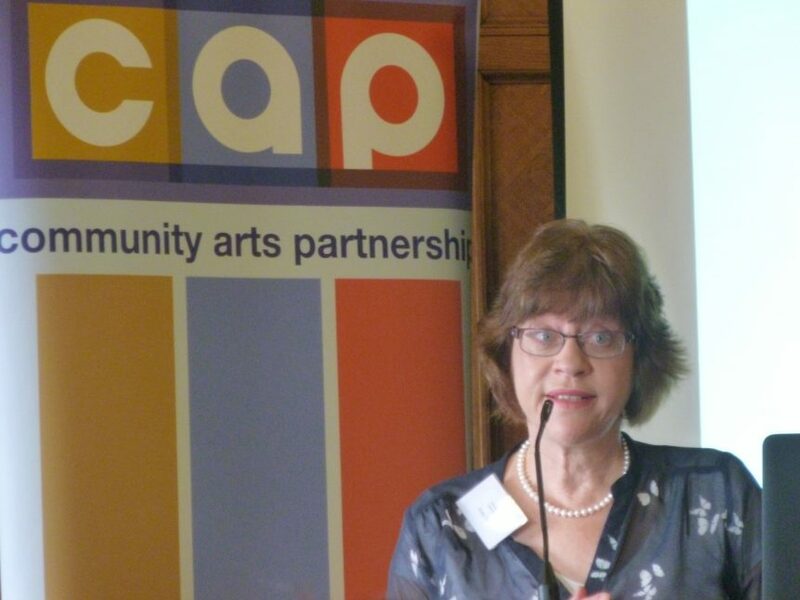 I am delighted and privileged to take up the role of LAVA coordinator at CAP following in the footsteps of the formidable Jan Carson. I have had a long connection with the organisation, as a writer, community arts facilitator and intercultural arts practitioner. My poems have been published in the annual CAP anthologies, and I was thrilled to have a poem longlisted for the Seamus Heaney Award earlier this year. Through my association with CAP, I have learned a great deal about the benefits of participating in the arts for communities and individuals. I hope to take this learning forward in my role at CAP. One of the highlights of my CAP experience has been facilitating poetry workshops for the Poetry in Motion Schools project. I have thoroughly enjoyed playing with ideas and words with pupils and their teachers in primary, secondary and special schools across Northern Ireland. My experience has shown that there are many benefits for the young people who participate in Poetry in Motion: enhanced self-expression, self-confidence, and awareness of their own creativity. I look forward to a creative year ahead coordinating Poetry in Motion, and to working with all of the amazing poet facilitators who have inspired me over the years. In 2015, I received an ACES (Artist Carer Enhancement Scheme) from the Arts Council NI for an intercultural creative writing project. The title of the project was A Sense of Belonging. In my role as LAVA coordinator, I will do my best to foster a sense of belonging to a community of writers, readers and lovers of literature and creativity.